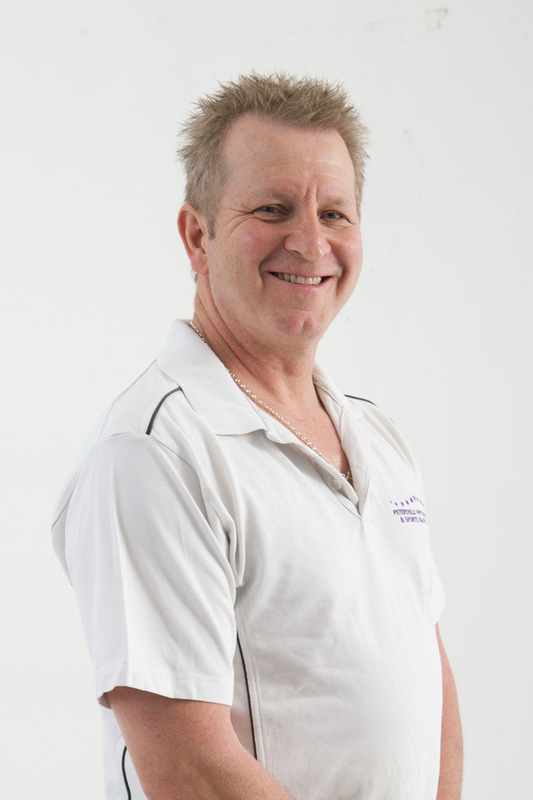 Mick obtained a diploma in Personal Training and Sports Injury Therapy through Premier Global in Bournemouth. He loves to help people achieve their goals through fitness and weight loss. One of the reasons he loves his job so much is he gets to watch the progress people make and is amazed at what the human body can achieve. Mick is a volunteer every summer at Woodlands disabled campsite, working with cerebral palsy sufferers. He helps with personal care, massage and muscular manipulation. As an experienced pitch side therapist, he is also part of the physio team for EVRA, the European Veteran Rugby Association competition at Farnham RUFC in September 2015. He works at Petersfield Physio on Fridays as a Personal Trainer and Sports Massage Therapist. He also runs our golf-specific exercise classes. In his spare time, Mick is a keen rugby player. He also enjoys weight training, mountain biking and spending time with his twin grandsons!